We have several new Kameleon Jewepops in stock as well as Kameleon Rings and Pendants! Which one is your favorite? What are Kameleon Jewepops? 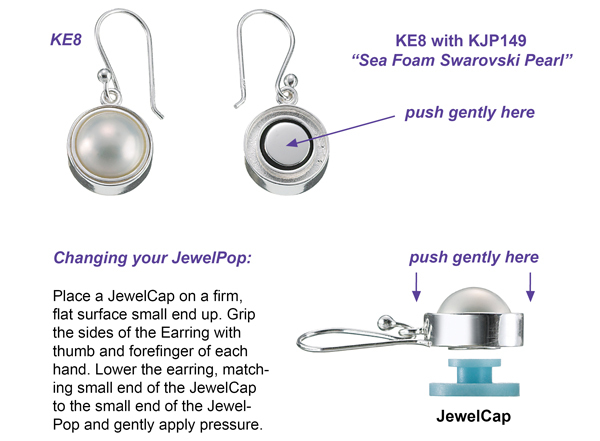 – JewelPops are the small interchangeable inserts that can be popped in and out of the Kameleon Jewelry designs. The JewelPops come in a rainbow of colors and materials. Some are set with semi-precious stones, Swarovski Crystal, synthetic opals or sparkling cubics and sport outrageous names like ‘Mochalicious’ (Brown Mabe Shell) and ‘Midnight at the Oasis’ (Blue Sunstone), adding a real element of fun to the Collection. 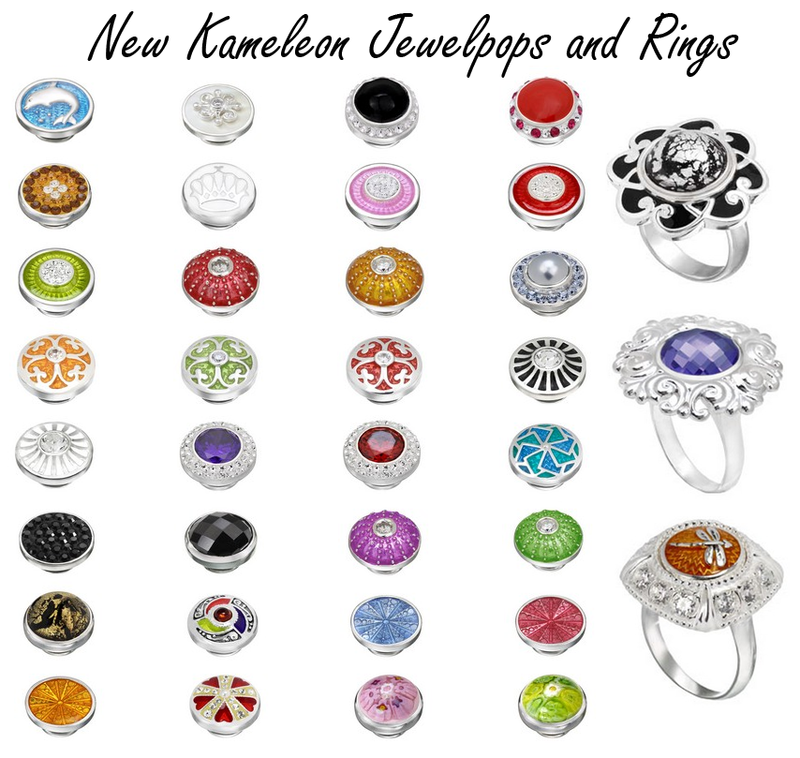 Kameleon Jewelry is unique because of its flexibility, versatility and reflects a sense of individualism and style. Investing in Kameleon sterling silver comes with the added value of infinite possibilities tailored for every mood and wardrobe change. All of us share a basic desire to express our individuality, our feelings and emotions – to stand out from the crowd. Inspired by Nature, Kameleon has captured the essence of this spirit with the launch of their line of sterling silver interchangeable jewelry which is called Kameleon. 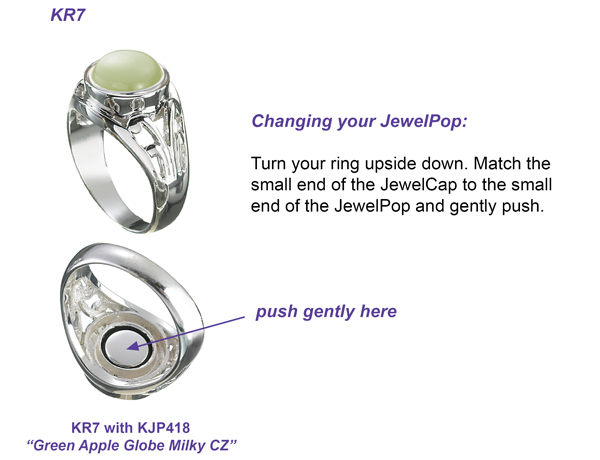 Below are graphics provided by Kameleon, demonstrating how to change out your Jewelpops! This entry was posted in Jewelry, Jewelry Brands and tagged interchangeable jewelry, jewelpops, Jewelry, kameleon jewelry, rings. Bookmark the permalink.